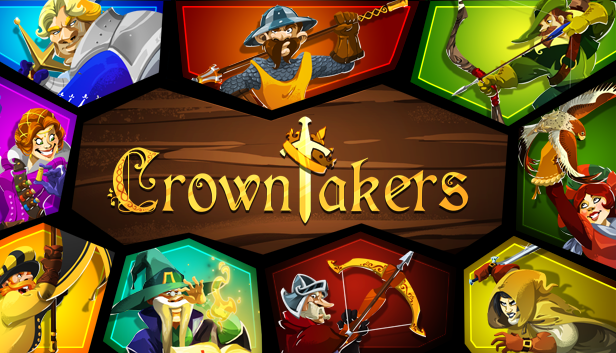 Kalypso Media Mobile announced their first release of the round-based Rogue-like strategy game Crowntakers on iOS and Android this week on 2nd April 2015. Just a few weeks later, Wings! Remastered Edition – a remake of the cult action aerial combat game from Cinemaware, will also be available on app stores. Additional titles are in the works. The continued expansion of the publisher Kalypso Media, who have enjoyed phenomenal success on various platforms led to the founding of the Hamburg-based subsidiary Kalypso Media Mobile in late 2014. The goal was to create a versatile mobile games portfolio consisting both of the company’s own brands and externally produced games. Their primary focus is on delivering challenging strategy games, although sports and action titles will also form part of the line-up. Crowntakers and Wings! Remastered Edition are the first titles to be released — just months after the founding of Kalypso Media Mobile. Additional titles are slated to follow by the end of 2015. Version mobile android sur GooglePlay pour 4.99 euros.